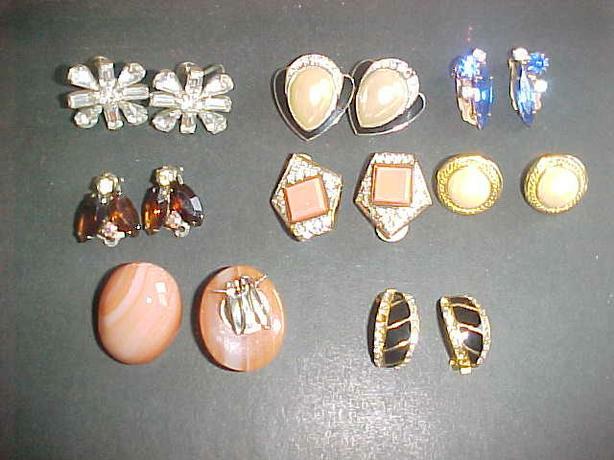 THESE VINTAGE EARINGS DATE FROM AROUND THE 1960'S. THEY ARE MOSTLY CLIP ONS. ALL ARE IN GOOD CONDITION. YOUR CHOICE FOR $5.00 A PAIR.